Kendriya Vidyalaya is a central government school which has its branch in different parts of the country. The school is affiliated to CBSE board and is a co-education school. The quality of education in these schools is in high standard and most of the students studying in these schools are children of the central government employees. 1 The Unknown Name of Kendriya Vidyalaya Schools Many would know that Kendriya Vidyalaya Schools was managed under single system from 1963, but very few might aware that it was called as CENTRAL SCHOOL at that time. 2 Largest Chain of Schools in India Yes! 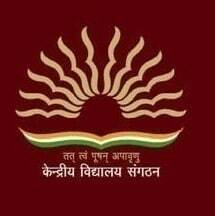 KV School list 1099 which is highest in Indian school chain. Among those 1096 located within India and remaining 3 located in abroad (Kathmandu, Tehran and Moscow). The pay scale of the employees of the Kendriya Vidyalaya schools is decided by the central government and the pay is decided according to the area of posting of the teacher or the non-teaching staff. The pay also set in accordance to the post of the teacher, the subject that the teacher teaches, and the post of the non-teaching staff, and also on the availability and the experience of the employee. The pay of the teacher differs with accordance to the experience and the subject of the teacher. Also the educational qualification of the teacher matters. The pay of the Primary teacher is between the ranges of Rs.9300 to Rs.34800 and there is a grade pay of Rs.4200. For the contract teacher of the school, a consolidated payment will be made on a monthly basis. But the facilities granted to the regular teachers cannot be availed by the contract teachers. The contract teacher will not be entitled to for pay of he or she is absent on a working day, also there will be no vacation pay. The PGT teachers or the post graduate teachers of the Kendriya Vidyalaya teachers is in a range of Rs.9300 to 34800, along with a grade pay of Rs.4200. The pay for the Principal of any Kendriya Vidyalaya is the highest. The salary rang is from Rs.15600 to 39100, with a grade pay of Rs.5400. For the PRT staff the pay would range from Rs.9300 to 34800 with a grade pay of Rs.4200. The pay scale of the Kendriya Vidyalaya is modified from time to time, in accordance to the current market rate. The pay also is modified according to the subject and the area where the school is located. The pay scale of the TGT or the Trained Grade Teacher in the school is in the range of Rs.9300 to 34800 and has a grade pay of Rs4200. The Librarians at the KV schools are entitled to a salary range of Rs.9300 to 34800 with a grade pay of Rs.4200. The salary range of the computer instructor would be the same as the other general subject teacher and there would be a grade pay of Rs.4200. The pay scale of the LDC and the UDC or Upper Division Clerk and Lower Division Clerk is Rs.5200 to 20200 along with a grade pay of Rs.1900. 3 Age Limits Applicant for TGT (Trained Graduate Teachers) should be within 35 years and PGT (Post Graduate Teachers) should be within 40 years. 4 Where to get those recruitment details of KVS each year? KVS recruitment details will be published on government employment new paper and also listed in various online job recruitment sites. Kendriya Vidyalaya Schools works with one of the mail principle for providing education to Indian Army Personal across the nation now stands as the largest chain schools in the country.